Often customers make us feel we do not deserve to be paid as much as we charge when the truth is that often we are not charging enough and still feel guilty. Under pricing your cakes is the one thing almost every cake decorator has done at some point. Especially when they are new to cake decorating. Let’s discuss that in this post and I bet you, you are under pricing your cakes. Under Pricing your cakes – Are you pricing your cakes correctly? If you haven’t had at least one customer in the span of six month roll her eyes over your prices – I bet you are under pricing your cakes. You know why? Because there are so many of our customers who have no clue about baking or cake decorating and I really mean NO CLUE; they probably believe the ingredients go into the oven and the cake comes out all dressed in fondant, decorated with flowers. And we probably just charging to put things in and out of the oven. Right? This week I had two customers who gave me the attitude that I am over pricing my cakes. One gave me the classic, “wow that much for a cake? geegs”!!. This attitude is not new to me and I know it’s not new to some of you. We all go thru this attitude at some point. Wondering….. !!! those second thoughts? those doubts? Am I really over charging my cakes? May be if my prices were better, I’d get more orders. or may be I can reduce the price of my ingredients. Is this what other cake decorators get paid? Am I really under pricing my cake? So what do you do when you have these question in your head. If you are like me, you go back to the spread sheet. Put those numbers down and figure it out. Well, that’s what I did today. I picked one of my popular cake sizes and made the costing. Here it is!! 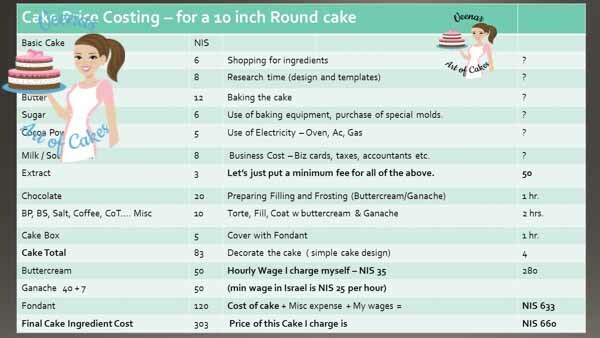 Now I shared the basics of cake pricing with you in my previous post on Cake Pricing a beginners guide so won’t get into cake pricing here. Guess what? I’m not over charging at all. the time and money I spend to learn cake decorating. All the time and money I spent in trial and error. To me, this is still a modest costing. 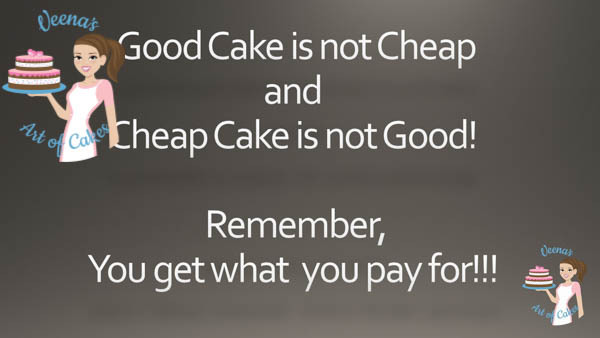 Let me ask you – When you decide on pricing your cakes do you just add the cost of ingredients? Shopping for ingredients? The time you spend on research? The time you spend preparing and baking your cake? the gas, the oven, electricity. Do you know that your business card and your tax accountant cost money? Do you ask yourself how much should I pay myself? Often people ask me how do I decide my own hourly wage. I think the answer is simple – How much do you think your time and work is worth? Here’s a simple way to get to the answer. If someone employed you what would they need to pay you , so you would accept their job? Would you take that job if they paid you 40 dollars an hour or would you say -no I need at least 50 to make it worth my time. The minimum wage in Israel is 25 so when I started cake decorating I did actually charge only 25 per hour. Now I have moved up to 50 because I think that’s modest. It’s definitely not what an artist should be paid but I’m still OK which what I pay myself. So, you see; it’s up to you!! And what you think is fair to you! 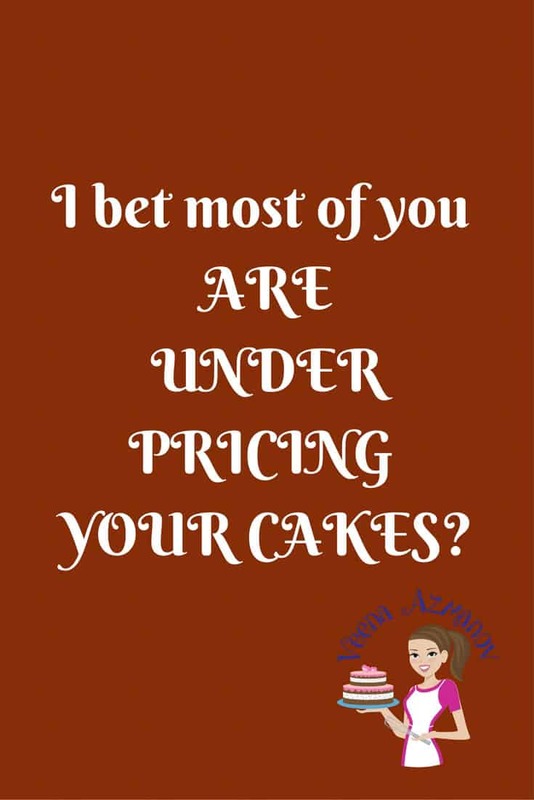 In my post on Pricing Cakes – A beginners Guide, often I get some cake decorator who will message me about pricing and vent out that she is not getting cake orders and that people are complaining about her prices. So what do you do in situations like these? Well, the answer is simple. You cannot please everyone and not everyone is your customer. I would love to own a Lexus but I cannot afford a Lexus which means I am not their customer. Can you imagine me going to the Lexus showroom and complain to them that their cars are very expensive? NO!! You get the point? Often people consider reducing the cost of the cake ingredients. Yes, you can reduce the cost of the cake. How? Are you going to make a basic cake instead of your premium recipe? Are you going to use an inferior brand of Fondant to reduce cost? If you do that – Are you really reducing cost or are you actually reducing quality too? And if you are reducing quality than is that really the direction you want to take your business in? Isn’t that what supermarkets sell? It’s not a wrong decision. There are very successful businesses that do well with these strategies. Are you competing with the supermarket prices? Or are you competing with premium cake decorators in your area? Personally, I use my premium recipe that adds more to the basic cake cost. I use real good quality chocolate along with my Cocoa powder and I use Satin Ice which is thrice the price of a local brand of fondant. But I would rather charge more than change any of that. To me, no matter how gorgeous the cake looks on the outside. If it don’t taste as good, it’s not worth all my time. Most of my customers come by word of mouth and it’s nice to see that they always remember how tasty the cake was!! So how do you get more orders for your cakes? By reducing your price? NO!! Pay attention to marketing / Advertising instead. Look at marking your cake in the right places. Find out where the people that can afford your cakes really are? Spread the word thru friends and colleagues, give free samples to the right people.. etc. I will touch up on Marketing in another post and chat more on that subject too. For now, I do hope you find my little chat/ blabber about under pricing your cakes useful. Feel fee to share your thoughts with me in the comments below. Don’t forget to save this article on Pinterest for later. Under Pricing your cakes – Pricing your cakes. Planning to become a professional Cake Decorator? – Three Business Tips for an Aspiring Cake Decorator. Do you bake as a Profession or Hobby? – Cake Decorating as a Profession or Hobby? 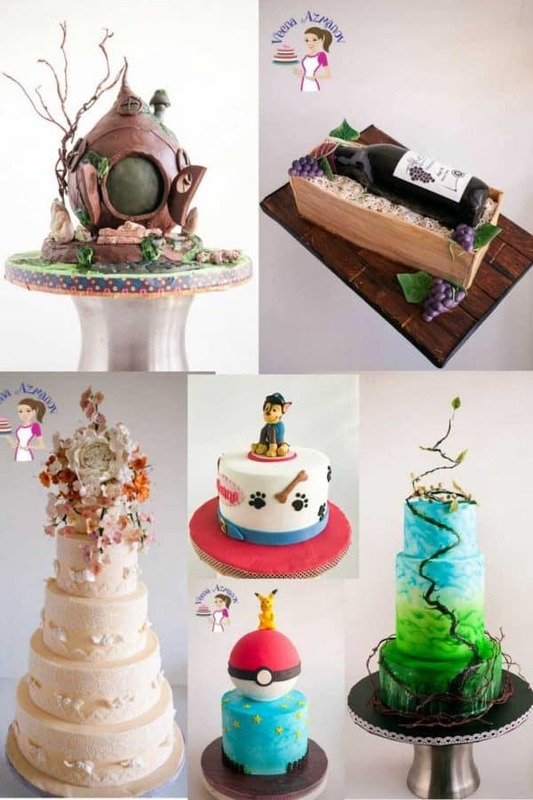 Are you wondering which online cake school should you join? I had the same dilemma when I started as a beginner. Some I loved very much and some were… well not worth the money I spent. When I started there weren’t so many choices either. So today with so many new schools out there; it can be really confusing. Perhaps I can help. Check out these post Which online Cake Decorating School Should I join? and How to choose the right online Cake Decorating School for you. In these post, I shared my honest opinion on the cake schools out there. The one I started and am still a member, the ones I continue to be a member and the ones I frequent off and on. Is it better to pay a monthly subscription fee? or is it better to buy a one off class and save in the long term? All questions answered. If you have any more questions you can ask below the post and I’m always happy to answer. What should I be looking when choosing a school for me? Cake Projects, Techniques? 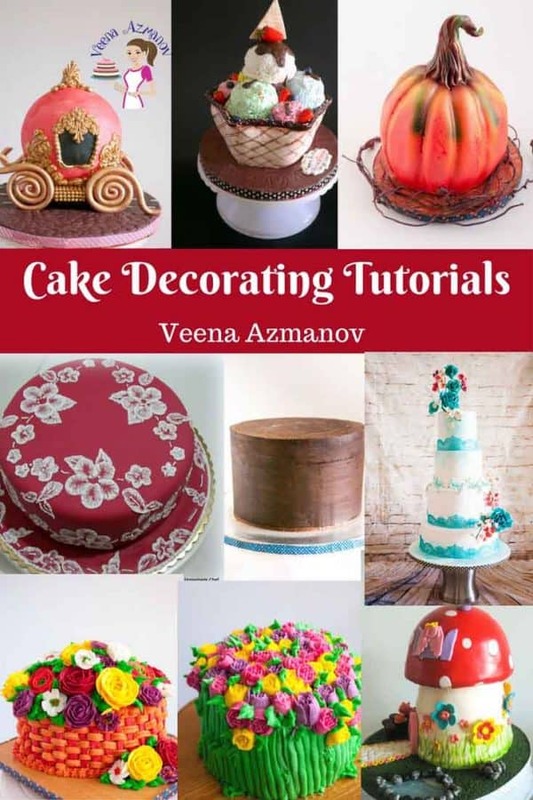 What’s the best way to start learning cake decorating as a beginner? Thank you so much Veena .I learned lot. You are very welcome Madurangi. Happy my blog is useful. Thank you Madurangi. Happy to hear that. Thank you Francisca. Happy you found to useful. I don’t have nearly the skill you do, but I stopped selling cakes altogether, because people wanted 3 tier elaborate designs that took me 15+ hours and didn’t want to pay more than $150. I made nothing. So they’d go to a bakery and get a quote for Triple that and then give me a weeks notice when they decided mayor ice was fair. It’s just not worth the aggravation. I actually stopped doing cakes and started doing decorated sugar cookie favors. I make so much more money, I can work it around my kids’ schedules and I enjoy it so much more. So I found a niche in my area that no one else has. Just other day I had argument with my friend regasrding the price of cakes.All you said is true and my arguments too. Thank you for confirming my thoughts. Verry well said Veena. Am learning a lot from your posts.Making cake is really an art and requires skill. And not everyone have it. You're one of the few gifted people. Keep it up and more power. Thank you,Veena! Totally agree with you! Custom made cakes are art and take a lot of time to make them. We have to appreciate our time which we could spend with our family instead of spending on cakes and being paid peanuts. thank u so much…. i dont want to get business for low price of my cakes…. i agree with u word by word. waiting for marketing post. thank you for this post. so true.